The human rights communications procedures are central to the purpose, effectiveness and credibility of the United Nations – representing the only direct link between the victims of human rights violations and the international human rights protection system. However, over the past half-century, what was once a vibrant part of the UN’s human rights work has become increasingly neglected and somewhat discredited – the victim of its own complexity and distance from ‘the Peoples’ of the UN. 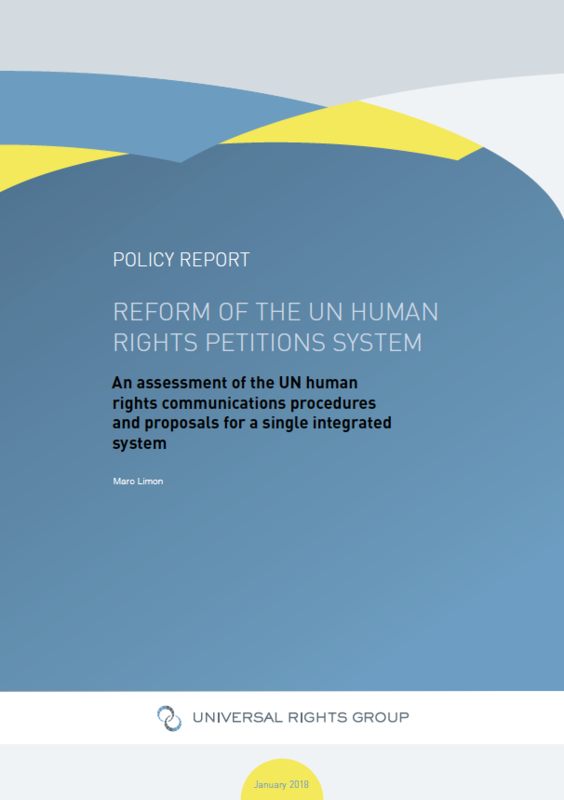 This report on the UN’s system of individual human rights communications is the result of a two-year project led by the Universal Rights Group. It offers a number of conclusions.